At Jetco, we constantly look for ways to eliminate waste and manage efficiency. For example, every service issue is documented and reviewed by management. Some issues are resolved internally. Others require joint effort with our customers. By making a mutual commitment to improve on these points, we can ensure a more efficient ordering process and a smother delivery, every time. Here is our resolution list to help streamline your business and strengthen our partnership. Cargo descriptions, including accurate dimensions and weight. If you have a photo, please send it. The picture will help us envision the proper transport of the cargo. In times of tight capacity, we can set aside personnel and equipment for you. Especially with last-minute requests for highly specialized equipment, preplanning is essential. With insufficient notice, we may not have the equipment available exactly when you need it. By preplanning, we can be ready to go! Loads must be properly identified as HAZMAT at the time of rate request and booking with complete paperwork and MSDS. Shipper must be prepared with placards as needed to haul the product. Keep in mind that hazmat cutoffs vary from other cargo. Also, steamship lines frequently change cutoff dates. It is important to ensure that we have the correct cutoff date and monitor changes so that all cargo is delivered on a timely basis. Before ordering the truck, please ensure that the load is READY. At intermodal facilities, for example there are various holds on cargo such as storage/U.S. customs/ steamship line/ not off the train yet. Are all warehouse storage feeds paid? Sometimes the cargo is ready by the consignee cannot take delivery. This can result in additional yard drop or storage expenses. Calling for a truck when the cargo is not ready increases the risk of “dry-run” expenses. If you require an exact delivery appointment, please let us know. Without an exact appointment, your cargo will be delivered on the scheduled day. If you have a crane or crew scheduled, we will plan accordingly. We can and will meet your critical appointments as long as we have a clear understanding at the time of booking. 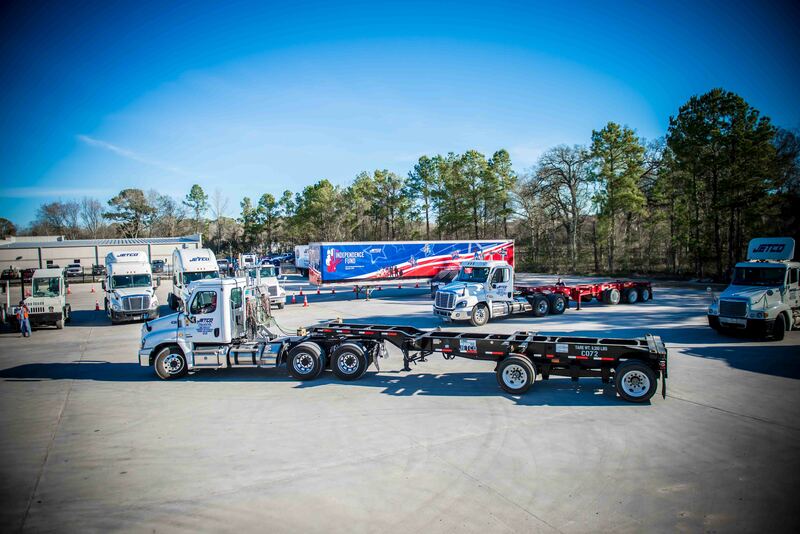 When you need a safe and reliable shipping, trucking and freight services, our team delivers. Together, we are going the extra mile.